LG FAQs List – iMobie Inc.
iMobie Support Team is here to provide solutions, tips and helpful information when you need it most. And if you have any questions or problems, we're here to help. All you request will be answered within 24 hours. 1. How to enable Developer options on LG? 2. 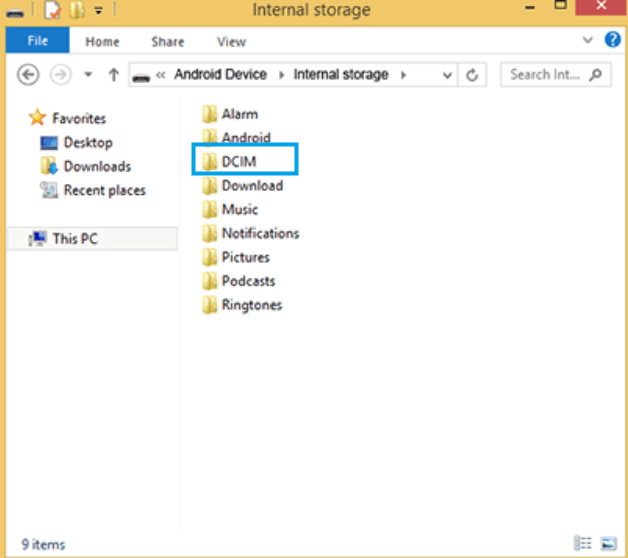 How to enable USB debugging option (Android 5.0 and above) on LG? 3. 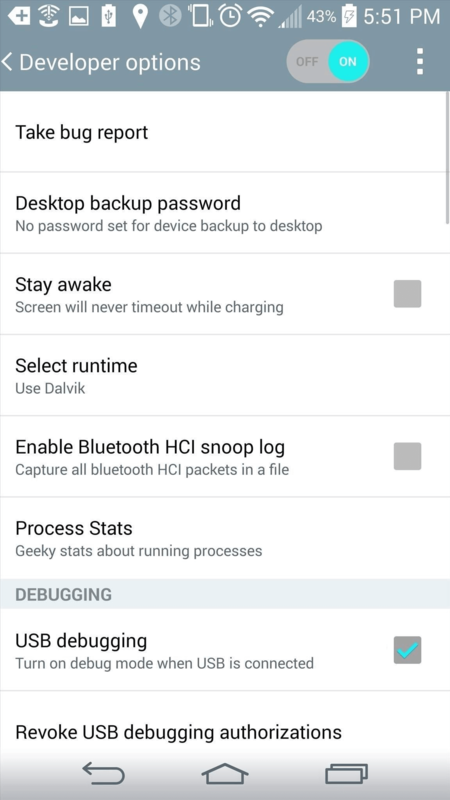 How to enable USB debugging option on Android 4.0? 4. How to switch language on LG phone? 5. How to restore LG to factory settings? 6. How to change wallpapers on LG? 7. How to set ringtones for your LG phone? 8. 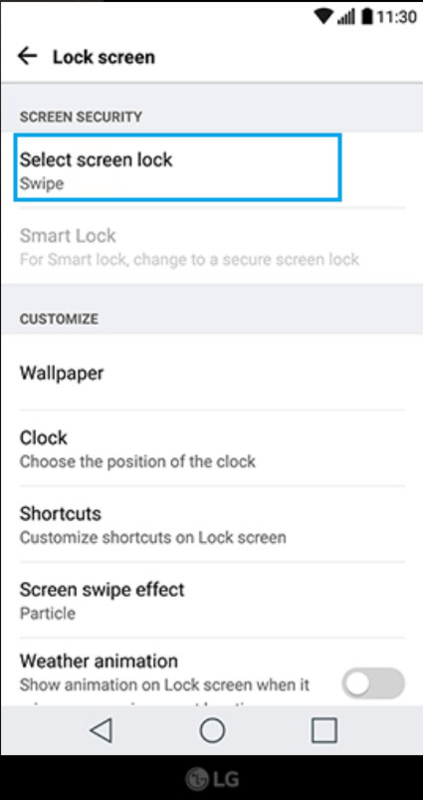 How to set the screen lock code on LG? 9. 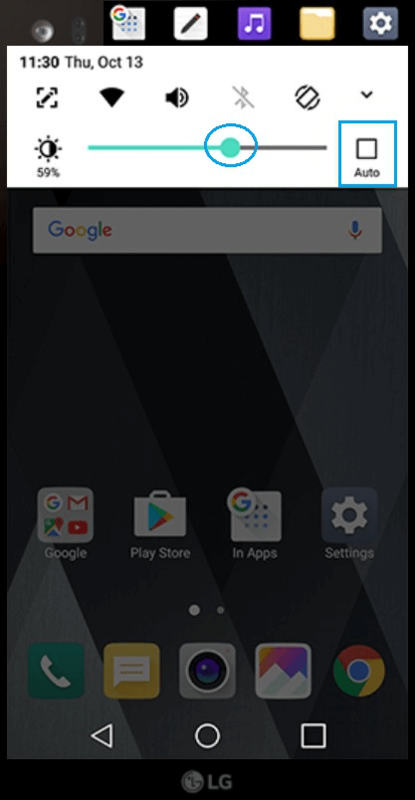 How to adjust the brightness on LG? 10. 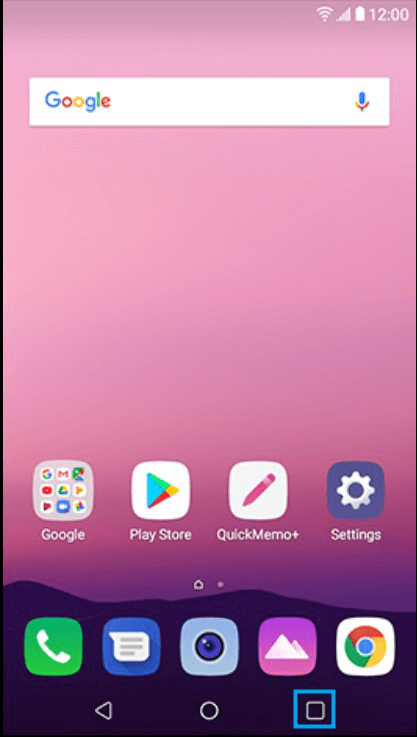 How to create an application folder on LG? 11. 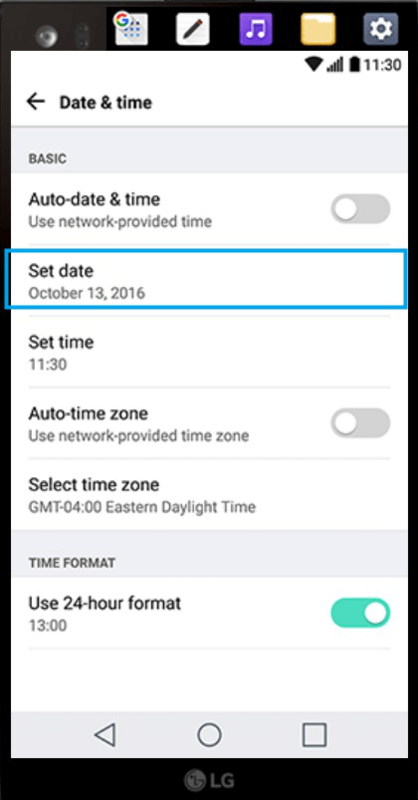 How to change the date and time on LG? 12. How to manage running applications on LG? 13. How to transfer pictures and videos from LG to PC? Part 1. 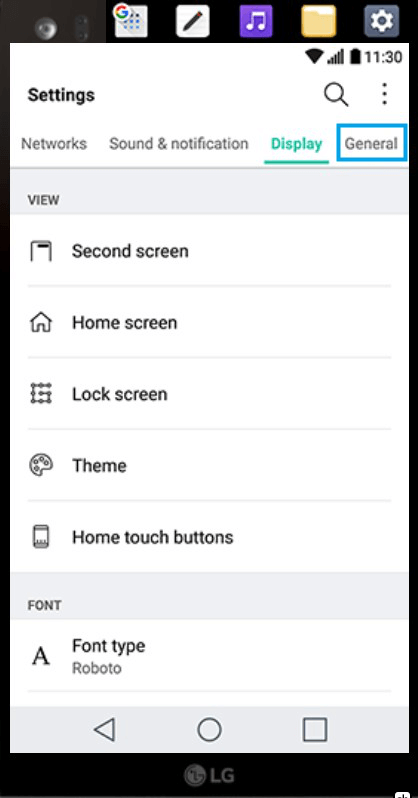 How to enable Developer options on LG? 1. 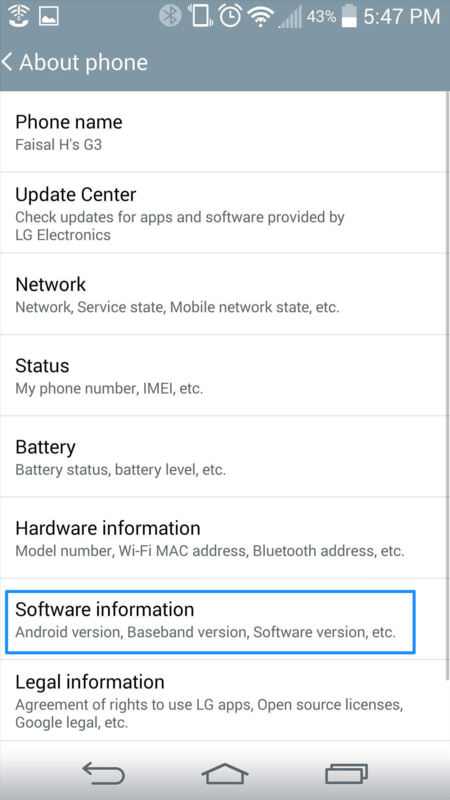 Go “Settings” on LG > Click General > Tap “About phone” > Hit “Software information”. 2. Tap “Build Number” several times, you will see a message “You are now a developer!” on mobile screen. After that, please return to the “Settings”, and you will see “Developer options”. Part 2. 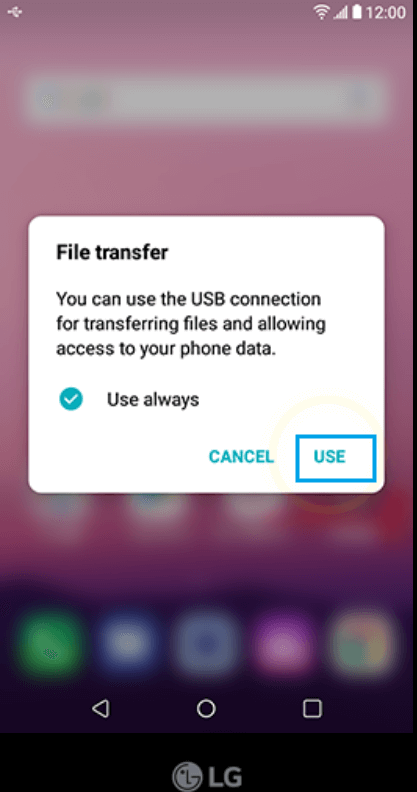 How to enable USB debugging option (Android 5.0 and above) on LG? 1. Go to Settings > Go to Developer options. 2. Next, tap USB debugging option. When the message pops up, please click OK.
Part 3. 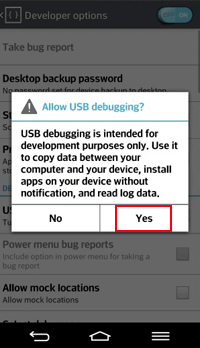 How to enable USB debugging option on Android 4.0? 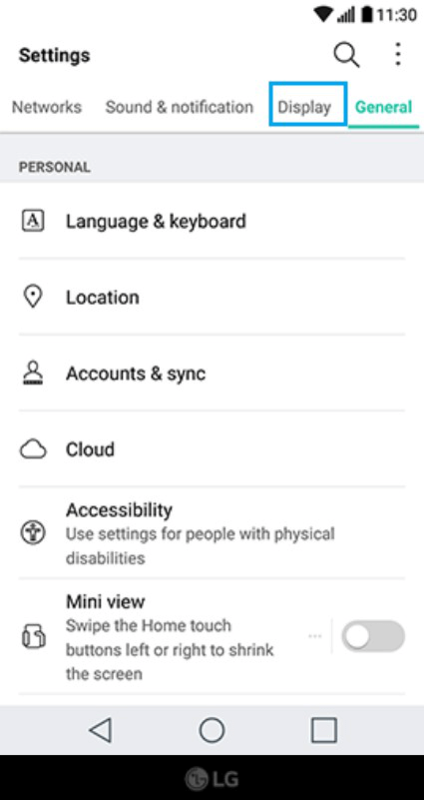 Go to Settings > Tap Developer Options and enable it. Part 4. How to switch language on LG phone? 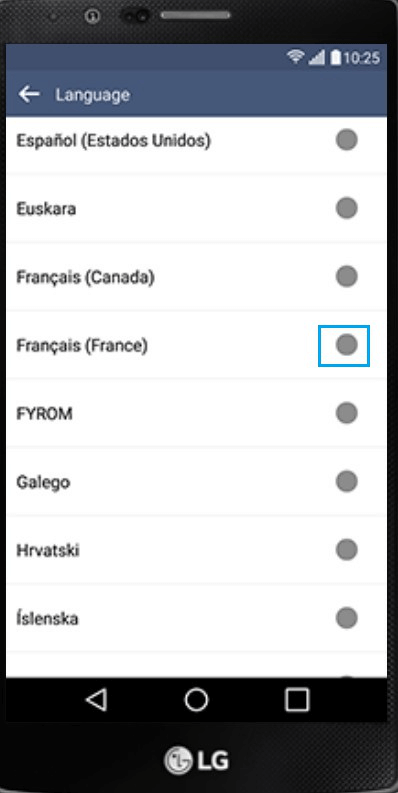 On most LG phones, you can set your preferred language. And most LG phones begin in English mode by default. If English is not your preferred language, you can change it by adjusting the settings within the menu of your LG phone. Please follow the steps learn about how to switch language on LG phone. 1. Go to Settings > Tap Language & input. 2. Tap Language and select your wanted language. Part 5. 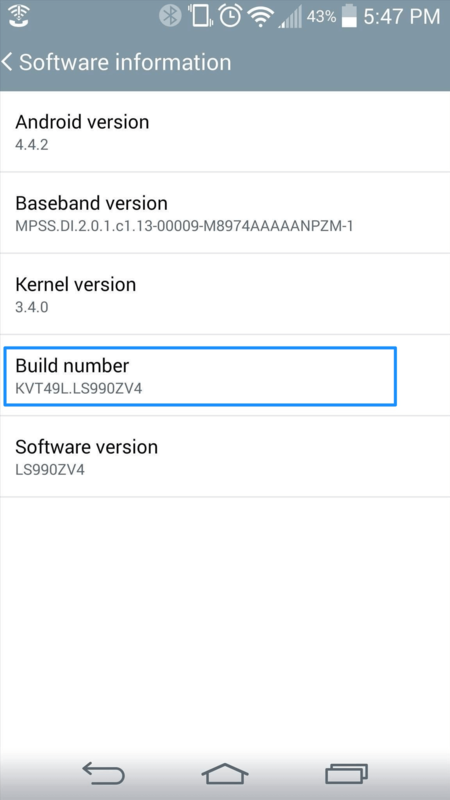 How to restore LG to factory settings? If your LG phone runs slowly or in any other way doesn't work or respond as well as it should, it may help to restore the factory default settings. Please follow the steps to learn about how to restore LG to factory settings. 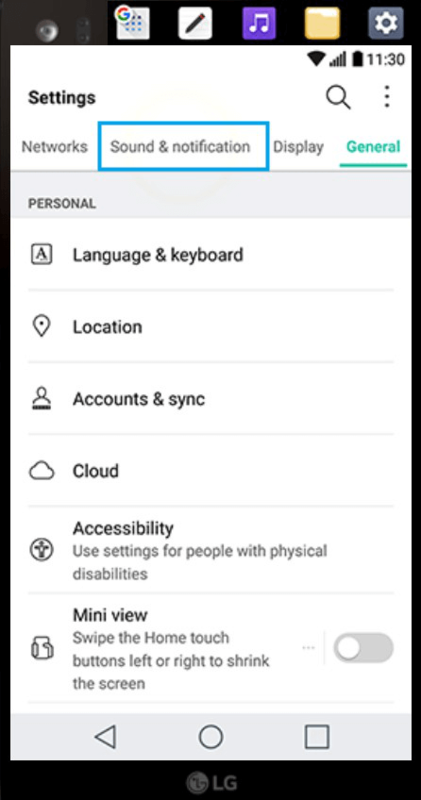 Step 1: Go to Apps from the Home Screen, and then access to "Settings". 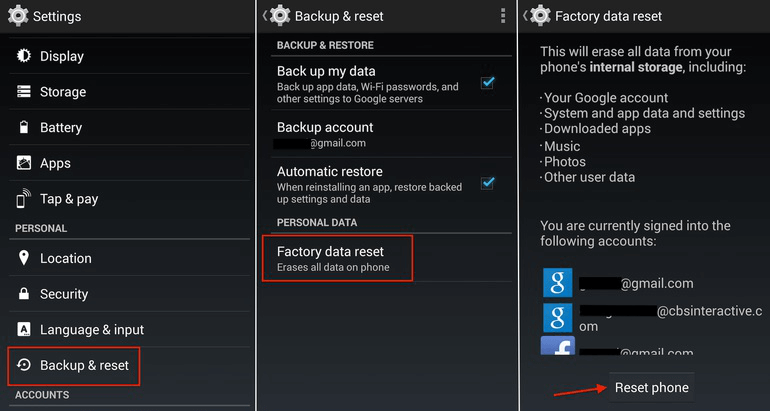 Step 2: Choose the "Backup & reset" option and select "Factory data reset". Step 3: Confirm to reset LG phone by taping the "Reset phone" option. Part 6. How to change wallpapers on LG? Changing the wallpaper on your LG Phone can add a touch of personality. 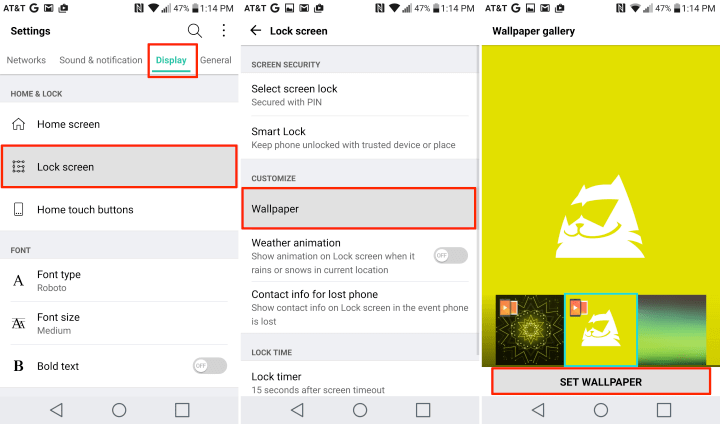 If you want to put your favorite TV character, singer or logo on your wallpaper, please follow the steps learn about how to change wallpapers on LG. 1. 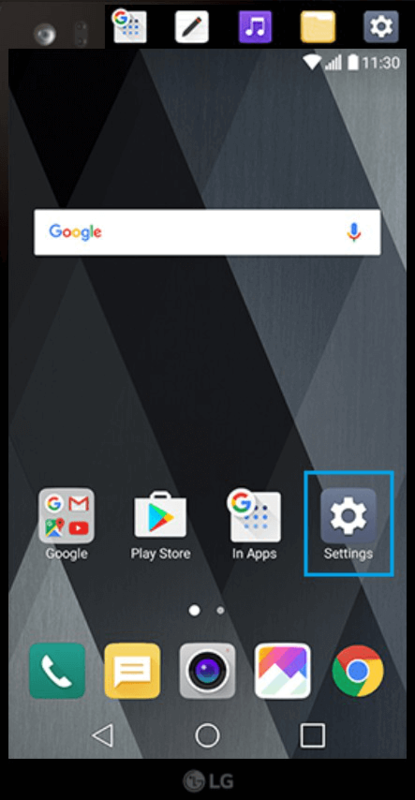 Pull down the notification bar and select the gear-shaped settings button on the top right. 2. In settings, find Display or tab the Display column up top. 3. Select Home screen or Lock screen and tap Wallpaper. Then choose your preferred image and tap SET WALLPAPER. Part 7. 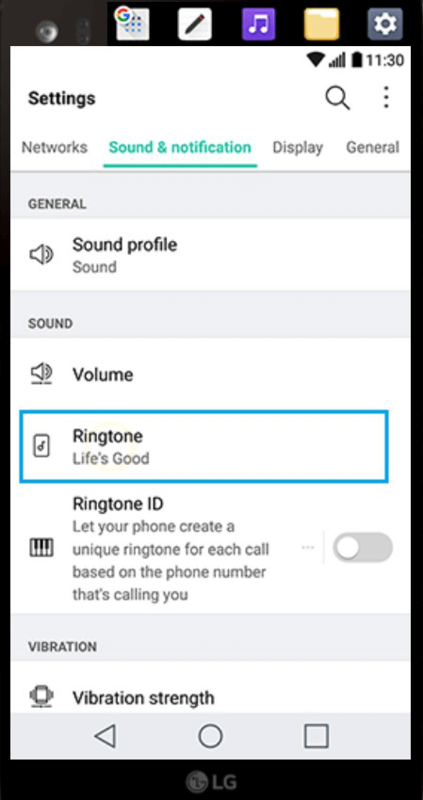 How to set ringtones for your LG phone? 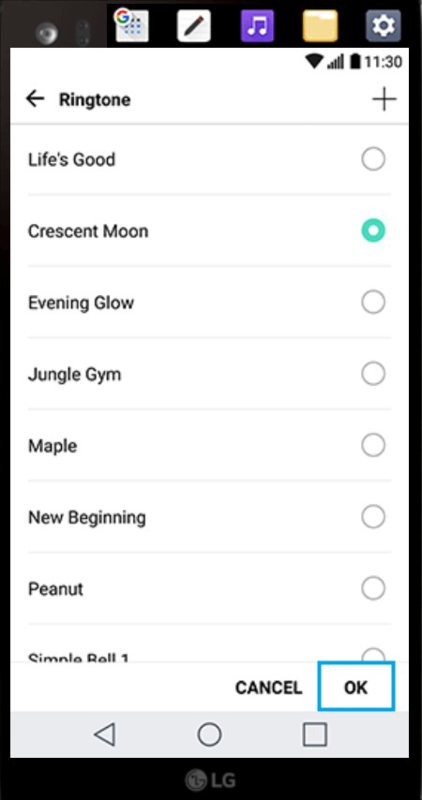 One of the most popular ways to customize your phone is to add new and unique ringtones. Please follow the steps learn about how to set ringtones for your LG phone. 1. Open LG > Go to Settings. 2. Tap Sound & notification. 4. Tap the ringtone you wish to use and tap OK.
Part 8. 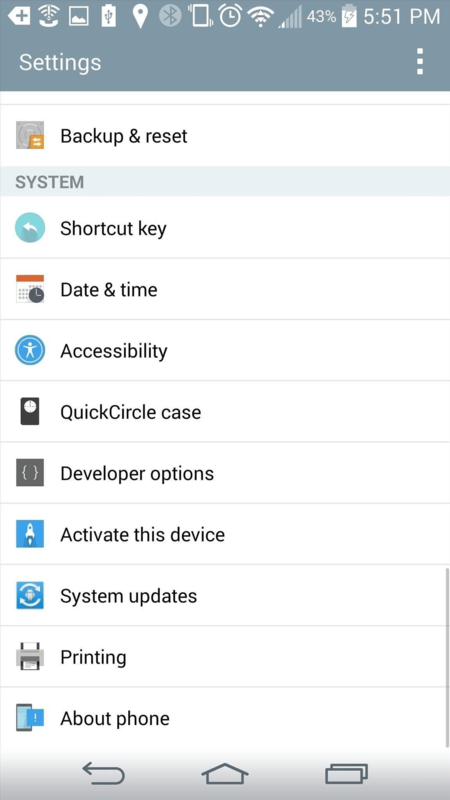 How to set the screen lock code on LG? 1. Go to Setting > Tap Display. 2. Tap Lock screen > Tap Select screen lock. 3. 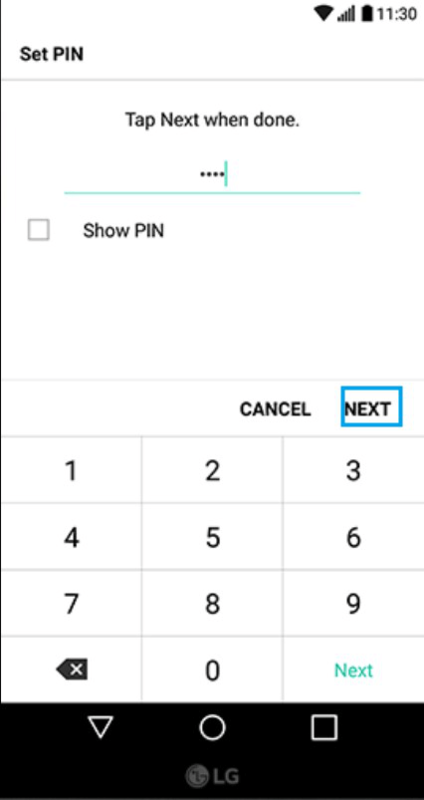 Select PIN and enter a PIN. Then tap Next. 4. 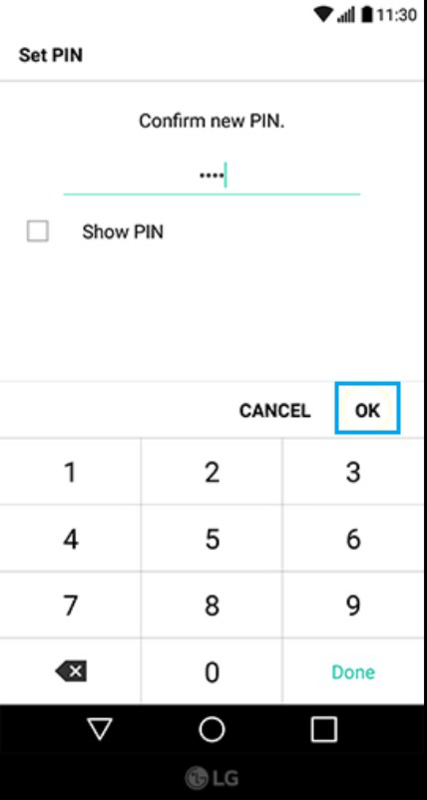 Confirm the PIN and then tap OK.
Part 9. How to adjust the brightness on LG? 2. To enable auto-brightness, tap Auto. 3. Even when auto brightness is turned on, you can still adjust the brightness. Drag the slider to adjust the brightness. Part 10. How to create an application folder on LG? 1. 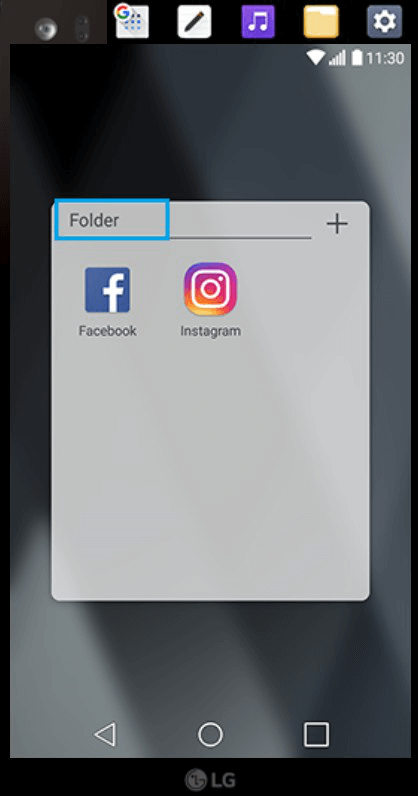 To create a folder, tap and hold on an app you would like to add to the folder. 2. Drag it over another app and then lift your finger. 4. 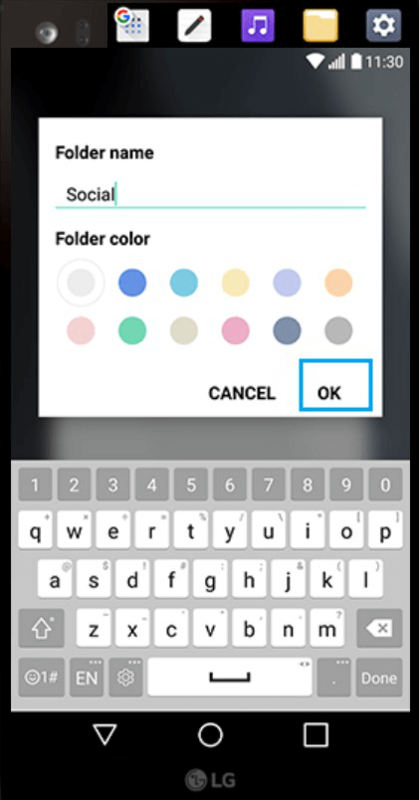 Enter a name for the folder and then tap OK.
Part 11. 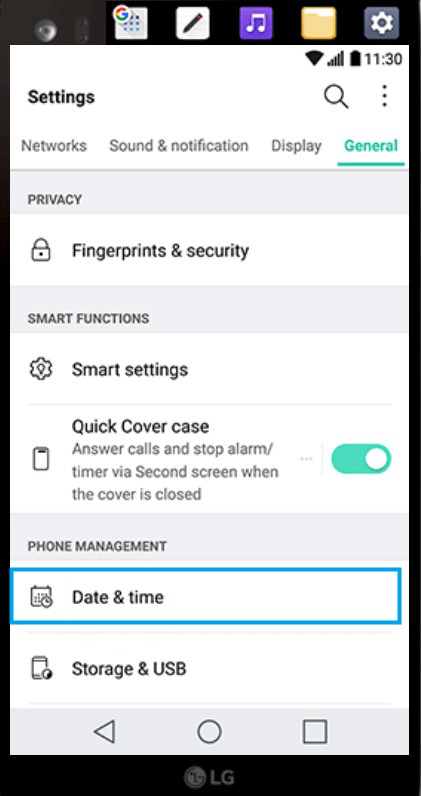 How to change the date and time on LG? 1. Go to Settings > Tap General. 2. Scroll down and tap Date & time. 3. 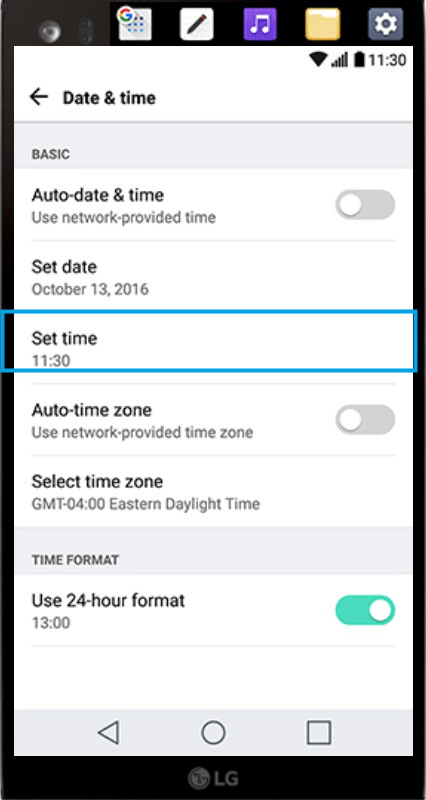 By default, the date and time are set automatically by the network. 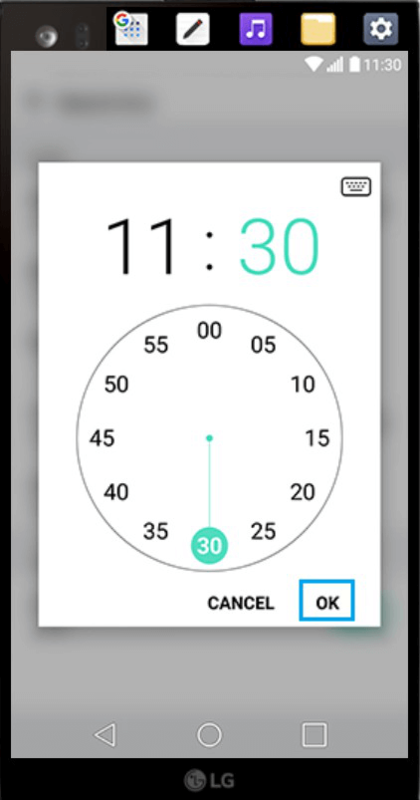 To set the time manually, tap Set date. 4. 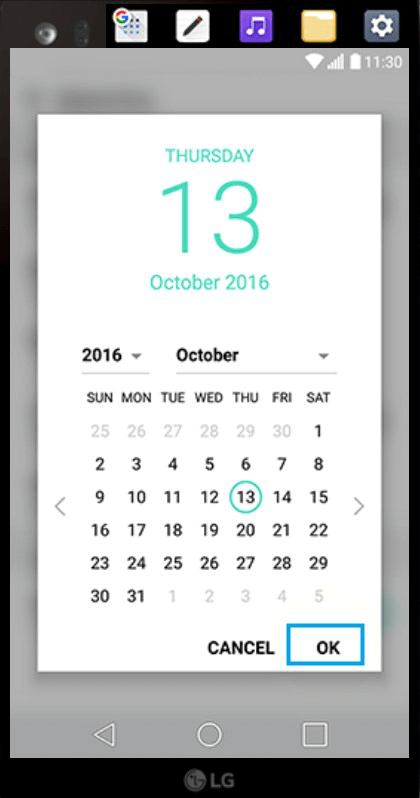 Choose the date and then tap OK.
6. Drag the handle to set the time and then tap OK.
Part 12. How to manage running applications on LG? 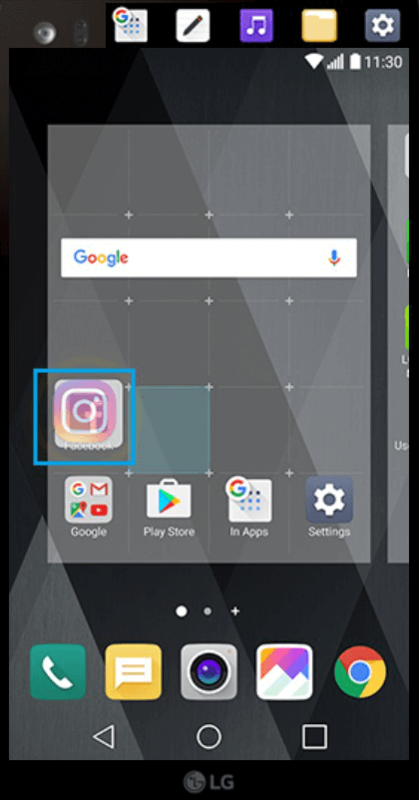 Using the Application manager menu can help view details about the apps installed on your phone, manage their data, and force them to stop. 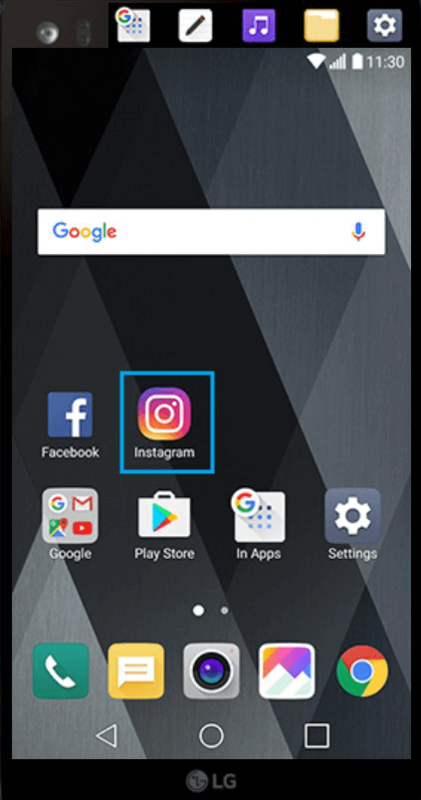 Please follow the steps below learn about how to manage running applications on LG. 1. To quickly switch between apps, tap the Recent Apps Key. 2. When a window pops out, please tap OK.
3. 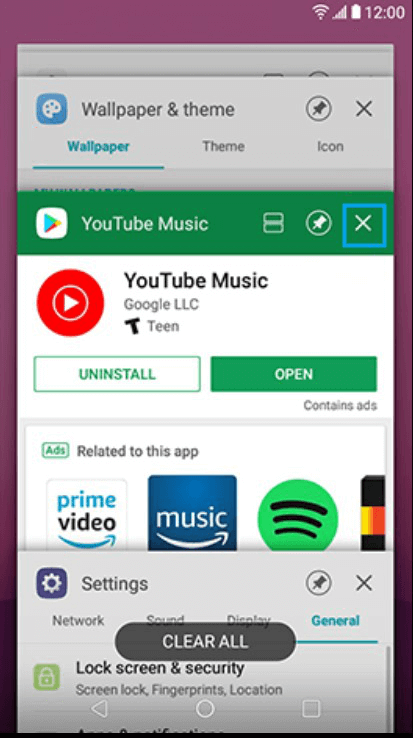 Swipe up and down to view all recently opened apps. Then tap an app to open it. 4. 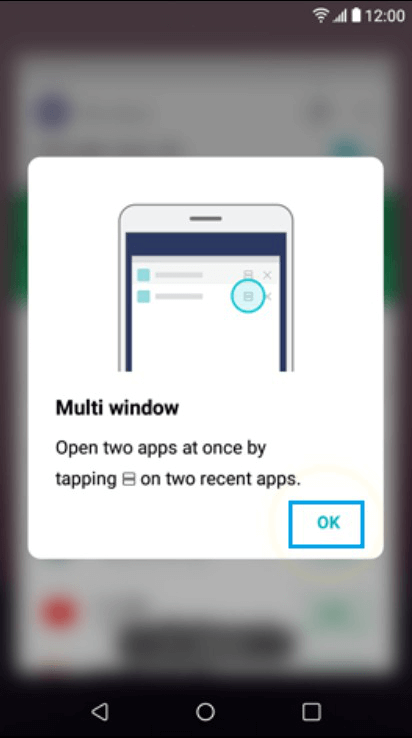 To close an app, tap the X in the app’s window. 5. To close all apps, tap CLEAR All. Part 13. How to transfer pictures and videos from LG to PC? Getting pictures from your Android phone to your PC can be a daunting task if you don’t know how to start it. Please follow the steps below to learn to transfer pictures and videos from LG to PC. 1. 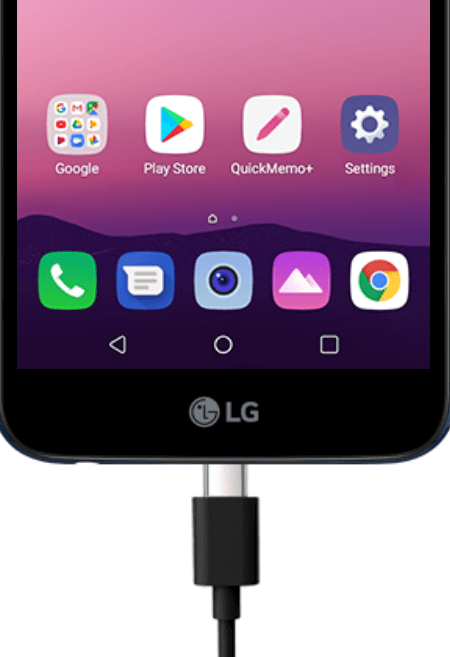 Connect your LG phone to computer with a USB cable. 2. The device will pop up a USB connection window asking if it is used. Please tap Use. 3. 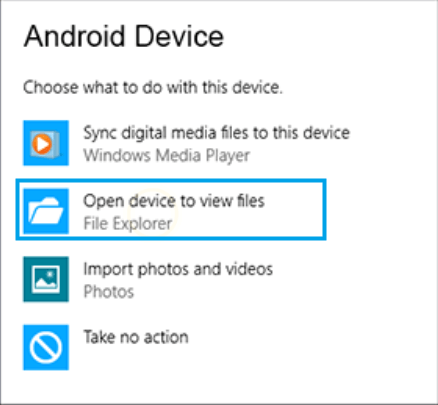 On your PC, select Open device to view files. 4. 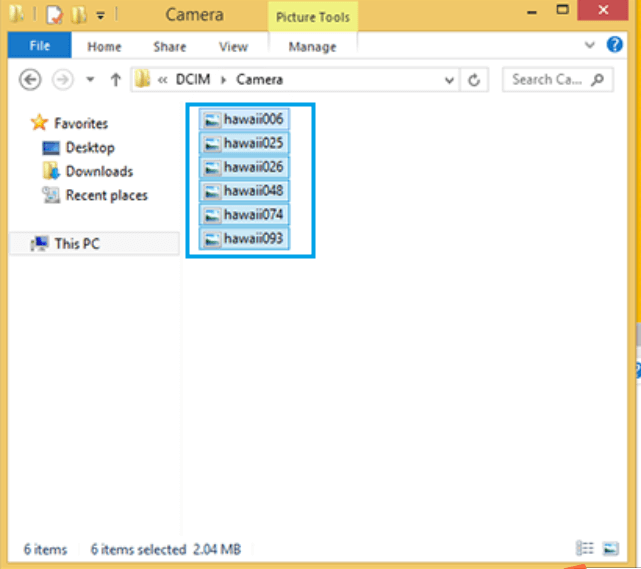 Open the DCIM folder. 5. Open the Camera folder. And select the photos and videos you wish to transfer to your PC. 6. Drag the files into the desired location on your PC.